The New Film Tells the Eerie Story of a Wilderness Search Dog Team. We do not open email attachments or accept any unsolicited scripts or pitches. 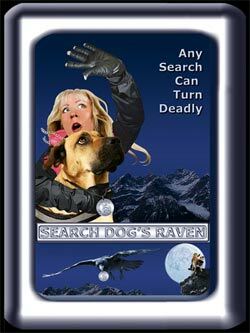 'Search Dog's Raven' and the animated spinoff series are both represented by Harbor Shore Agency. Their telephone number is 1-403-241-2344.